The Seine, winds its way across France through the heart of Paris en route to the Normandy coast. One of the world’s most romantic rivers, the Seine has inspired artists, architects, chefs, writers, and visitors for centuries. In 2019, Adventures by Disney, the guided tour division of the Walt Disney Company, will set sail on the Seine River for the first time with AmaWaterways adding to their already popular river cruise offerings on the Danube and Rhine. In 2016 Adventures By Disney offered their first river cruises on the Danube, and my daughter and I were on board their inaugural holiday cruise. The level of service and coordination between the AmaWaterways crew and the Adventures by Disney guides was impeccable. I cannot wait to see them sail through the City of Light. 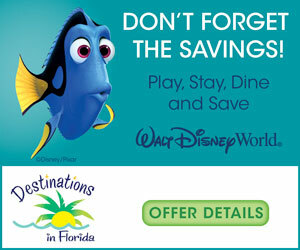 Continue reading for more details from Adventures by Disney’s press release. The new 10-day, 9-night Seine river cruise vacation combines two days exploring Paris on land, followed by eight days of cruising to picturesque French destinations such as Conflans, Vernon and more. Sailing with AmaWaterways, a premier luxury river cruise line, the popular Adventures by Disney river cruises allow families to explore the heart of Europe in a way that’s active, immersive and easy. Interactive culinary experiences, including a gourmet food tasting tour, regional wine and cheese sampling and hands-on macaron making demonstration. Guided tours of Paris icons, including Notre Dame, the Eiffel Tower and the Louvre. Active excursion options for the whole family, including biking, canoeing, horseback riding, a ropes course and hiking on the stunning cliffs of Etretat. Immersive local experiences, including a visit to Monet’s House and Gardens in Giverny, a hands-on painting workshop, an apple orchard visit with Calvados tastings and more. Enriching visit to the Normandy American Cemetery. Engaging castle tours and rich historical storytelling at Chateau de Bizy, Chateau Malmaison and Chateau Gaillard. Adventures by Disney guests can also add on an extension package at Disneyland Paris Resort to complete their vacation. This new Seine itinerary will include two Summer 2019 departures, offering enchanting activities for families, as well as two Fall 2019 epicurean sailings, which will be held exclusively for adults. The latter will offer a wide range of special food and wine themed experiences both on and off the ship. Adventures by Disney will also offer a mix of family and adult-only departures of their popular Danube and Rhine river cruises in 2019. Adventures by Disney Rhine river cruises give travelers the opportunity to delight in the beauty of four countries – France, Switzerland, Germany and the Netherlands. From riding a toboggan in the Black Forest to exploring the storybook Heidelberg Castle, these eight-day, seven-night vacations pair unforgettable adventures in port with luxurious river cruise accommodations and amenities onboard. Eight summer departures in 2019 offer experiences designed with families in mind, while two adult-exclusive epicurean sailings will take place during the Fall, serving up extraordinary food and beverage experiences both on and off the ship. Also in 2019, Adventures by Disney will offer seven departures of their Danube river cruise, including five family departures during the summer, a family holiday themed sailing in December and an adult-exclusive Oktoberfest-themed sailing in September. These eight-day, seven-night vacations will visit iconic locations and hidden gems in Germany, Austria and Hungary. 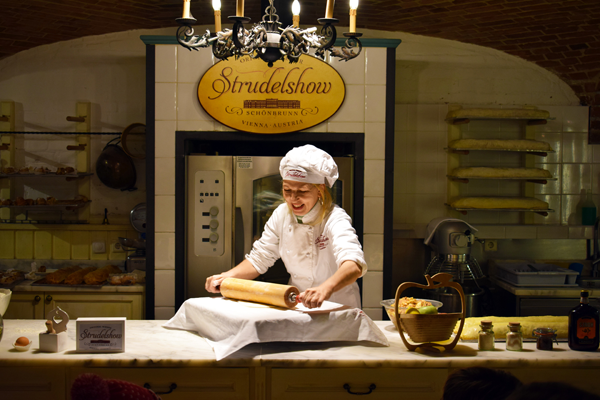 Climb above the German treetops, try your hand at Austrian strudel making, stroll charming towns and villages, and more on these scenic adventures. Adventures by Disney also launched a new four-day, three-night Southern California land tour that can be booked as a stand-alone vacation, or in conjunction with Disney Cruise Line sailings departing from the port of San Diego. This guided group vacation allows travelers to revel in a behind-the-scenes look at places where Disney magic is made, including rare private tours of The Walt Disney Studios and Walt Disney Imagineering, VIP experiences at Disneyland Resort, an exclusive visit to Walt Disney’s Disneyland apartment, a sneak peek at props and costumes from beloved Disney films at the Disney Archives, and more. This new Southern California Short Escape package is available on select dates in Spring and Fall 2018, making it an ideal pre-cruise option for Disney Cruise Line guests sailing during this time period. For more family travel news, reviews, and trip reports, be sure to follow Adventures by Daddy on instagram, twitter, and “like” our facebook page too.